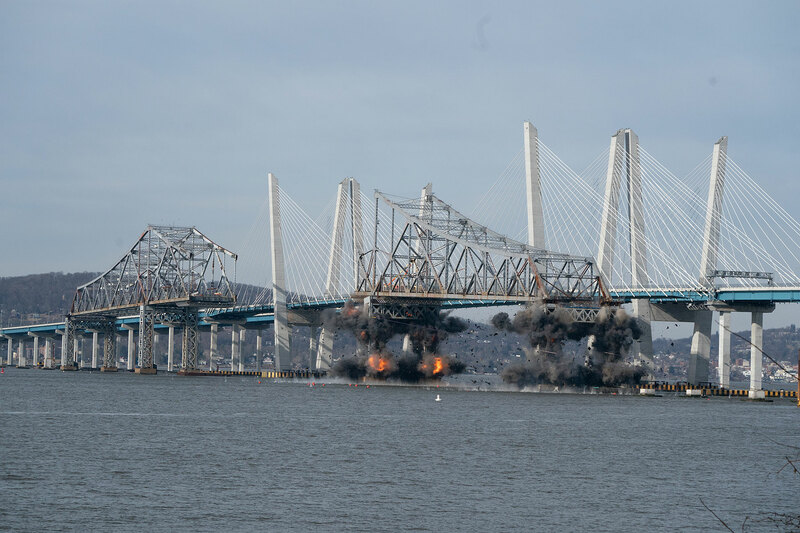 Removing the old Tappan Zee Bridge’s main span has required several large-scale operations since 2018, with additional work scheduled this year. 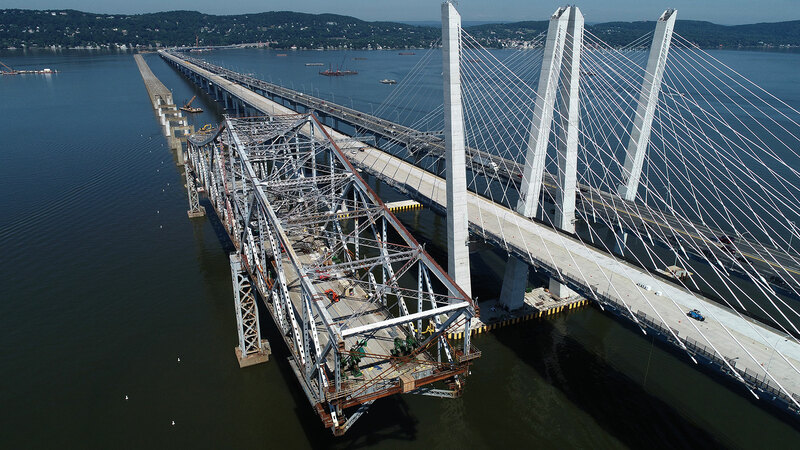 Tappan Zee Constructors (TZC) began dismantling and removing the main span last year by dividing the steel into five discrete sections (illustrated below). 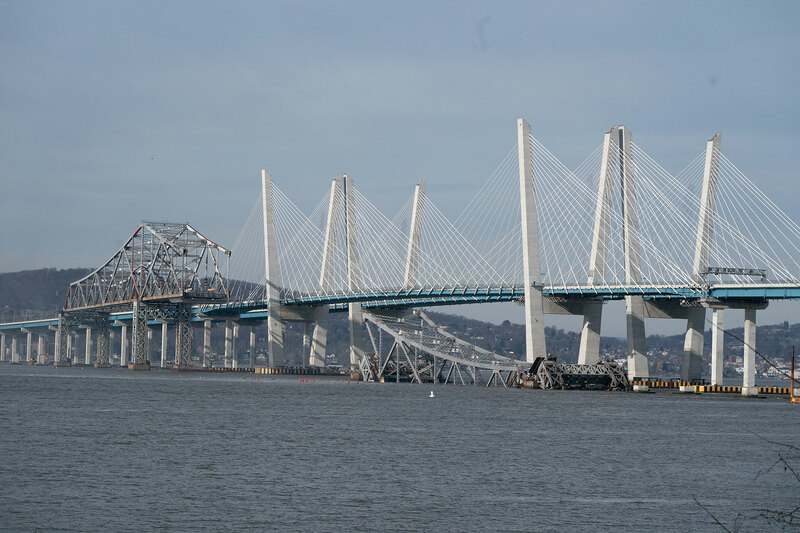 TZC removed Section 1 in May 2018 utilizing eight hydraulic strand jacks to lower the 532-foot-long, 4,750-ton center of the main span. The section of steel was placed on a transportation barge and relocated south of the bridge, where it was further dismantled. Section 2 was removed piece by piece with barge-based cranes in 2018. TZC lowered Section 3 utilizing explosive charges in January 2019. You can watch the controlled demolition operation in this video. Marine salvage experts are in the process of removing the material from the Hudson River with the assistance of chains, previously laid on the riverbed. The 6,500-ton section of steel currently visible above the water line (pictured below). Section 4 (pictured below) is currently being removed piece by piece, much like Section 2. 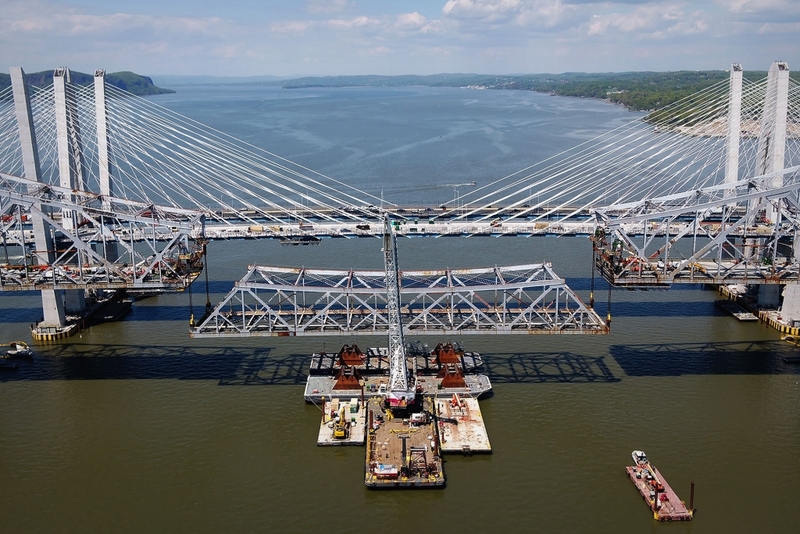 Each portion of the 4,560-ton cantilever truss is lowered with barge-based cranes. Later this year, TZC is preparing to lower Section 5 with the assistance of strand jacks. The public can observe the operations with the project’s tower webcam. Partial closures of the Hudson River’s main navigation channel are in effect to accommodate the operations, and all mariners are strongly encouraged to avoid the area. More boater safety information can be found at NewNYBridge.com/Boater. 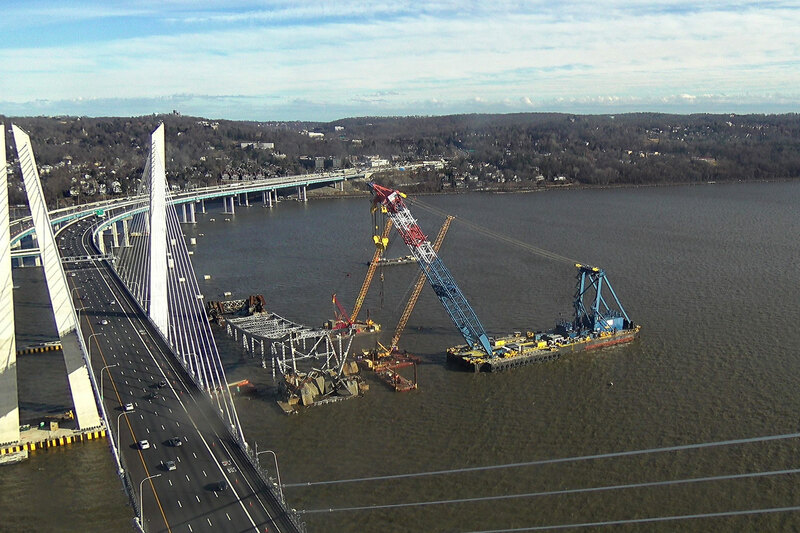 You can receive more updates on the project by subscribing to our monthly newsletter or by following @NewNYBridge on Twitter.